WARNING OF US MILITARY ATTACKS AGAINST THE REVOLUTION. NEED FOR REINFORCED CIVIL AND MILITARY UNION. 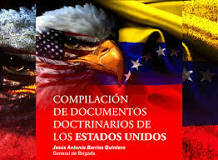 READ: “COMPILACIÓN DE DOCUMENTOS DOCTRINARIOS DE LOS ESTADOS UNIDOS” by the Venezuelan general de brigada Jesús Antonio Barrios Quintero, published by the Hormiguero Editores (*) at the Bolivarian Military University. It is not every day that you meet a soldier at a book-fair keen to buy works of revolutionary politics. It is not every day that you can hear of, and discuss, a book written by a general de brigada, like Jesús Antonio Barrios Quintero, who presents his own book : ‘Compilación de documentos doctrinarios de los Estados Unidos’. The book was published at the Bolivarian Military University (UMB) in the ‘Hormiguero Editions’. The ‘doctrinaire’ US documents in question are all recent, 2015. They set out clearly that even under the presidency of Obama – Nobel Peace Prize Winner – “the US never dropped the Monroe Doctrine” and “are still viewing Venezuela as a threat to the national security of the United States”. This is why all the US presidential advisors, political and military, keep up their sleeves a series of measures aimed at Venezuela. From economic and financial embargos to sanctions against the country; from the threat to detain Venezuelan government officials, to the organisation of violent oppositions to the Maduro government; from various incitations to break-up the Latin-American integration of Mercosur, Unasur and even Celac, to the devising of direct military interventions. All this is shored up by the contribution of the Colombian authorities (7 US military bases are located in Colombia, most of them near the Venezuelan border) and that of the South American countries considered reliable. The book’s introduction highlights the profound re-structuring of the Venezuelan Armed Forces introduced by the Bolivarian Revolution at the very start of Hugo Chavez’ presidency. The creation of the Bolivarian Military University (UMB) in 2010 was part of the changes made to guarantee “the integral defence of Venezuela and its consolidation as a world power-energy supplier“. This accompanied the setting up of a National Bolivarian Armed Forces and a technically and scientifically well-trained Bolivarian Militia. 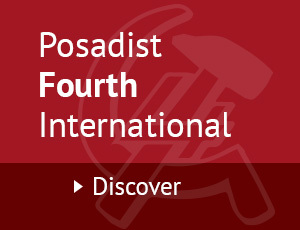 Those organisations were built on the modern concepts, and the realities, economic and social, wanted by the socialist project of national development (Foundation Decree). The troop training conception of the UMB represents a radical change; it tears the Venezuelan military chiefs away from their ancient submission to the US doctrines under which they used to be formed. 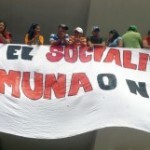 Besides this, Venezuela develops a type of civilian and military union. It creates popular militias with cadres being formed also at the UMB. This is how the putschist right-wing in Venezuela has lost, in this matter also, most of its traditional points of support. Apart from a few individuals, this right wing did not draw the bulk of the army behind itself, in violent opposition to the Maduro government. All its attempts at state coups failed, mostly due to the Bolivarian military remaining loyal and supportive of the Maduro government. In a separate article, we point out the importance of the Workers Production Councils. In these, the Maduro government stimulates a civil and military union at every level. The aim is to defeat the economic war of imperialism. The aim is to incorporate, among other things, soldiers’ and workers’ militias in the Workers Production Councils.